Aston Villa have rubbished claims Roy Keane had a bust-up with players before he quit the club last week. Newspaper reports emerged on Monday suggesting there had been a falling out but the club have dismissed any speculation the former Manchester United star's exit was anything out of the ordinary. 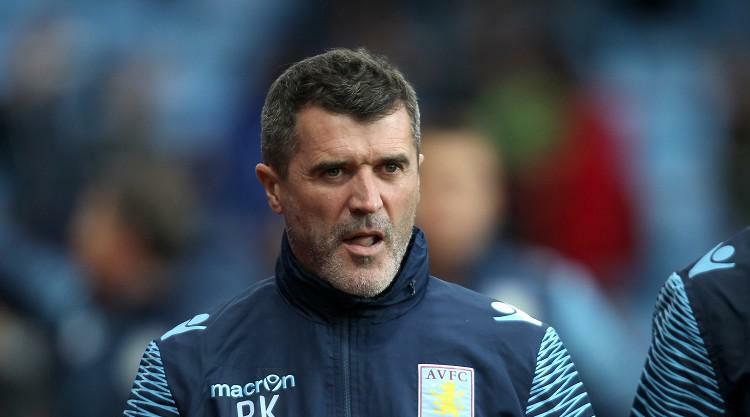 Keane left Villa on Friday saying he could not juggle his role as Paul Lambert's number two and his job as Republic of Ireland assistant manager. He had only joined in July, replacing Ian Culverhouse who was sacked at the end of last season following an internal club investigation. Keane said on Friday: "Ultimately, my roles with Villa and Ireland, and combining my commitment to these, has become too much. "It isn't fair to either Villa or Ireland, so I've made this decision. I'd like to thank Paul for giving me a great opportunity to come to a brilliant football club. "I've really enjoyed my experiences at Villa and I wish the management team, the players, the supporters and the club nothing but the best going forward." Ireland boss Martin O'Neill also said Keane needed a break after combining both roles since the summer. "He didn't have any holiday - he went straight from international duty with us in America to the job at Aston Villa and eventually those things catch up with you, one side of Christmas or the other," he told FAI TV. First team coach Scott Marshall is currently assisting Lambert. Villa drew 1-1 at Burnley on Saturday in the wake of Keane's departure and go to Crystal Palace on Tuesday just two points above the Barclays Premier League relegation zone. They are winless in their last nine matches and are the lowest scorers in the top flight with seven goals from 13 games.